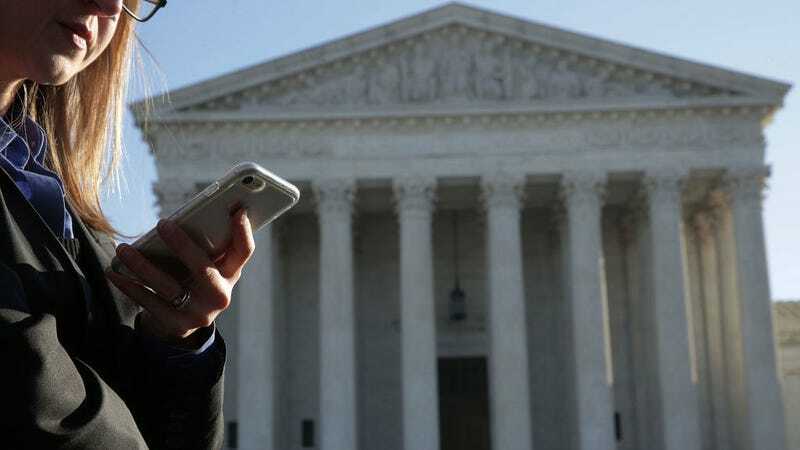 On Tuesday, the US Supreme Court will hear arguments in a case that could at least somewhat clarify Donald Trump’s complaints about Amazon “not paying internet taxes.” It will also decide if those cheap deals on NewEgg are going to be less of a steal. The case concerns the state of South Dakota versus online retailers Wayfront, NewEgg, and Overstock.com in a battle over whether or not state sales tax should apply to all online transactions in the US, regardless of where the customer or retailer is located. It promises to have an impact on the internet’s competition with brick-and-mortar retailers, as well as continue to address the ongoing legal questions surrounding real-world borders in the borderless world of online. For years, sites like NewEgg have operated under the rule that state sales taxes only need to be collected if the retailer has a physical presence in the state where the product is being purchased. In NewEgg’s case, that means it collects sales tax for online orders in six states. None of the defendants collect sales tax in South Dakota, where a 2016 law was enacted requiring that retailers that earn more than $100,000 in annual sales from the state must pay a 4.5 percent tax. The legal issue comes down to the fact that South Dakota’s law ignores two US Supreme Court decisions that found the physical presence rule to be properly based on the Constitution’s commerce clause, which bars states from placing an undue burden on interstate commerce. Long story short, South Dakota deliberately ignored the Supreme Court precedents in order to get a reevaluation of the old rule in the age of the world wide web. This issue is something that the court has previously signaled it’s open to taking another look at. The original case that put the physical presence rule on the books related to the rights of mail-order catalog retailers. In a 2015 opinion, Justice Kennedy argued that the “legal system should find an appropriate case for this Court to reexamine” the issue because of the impact it’s having on brick and mortar retailers and state treasuries. “This argument has grown stronger, and the cause more urgent, with time. When the Court decided Quill, mail-order sales in the United States totaled $180 billion. But in 1992, the Internet was in its infancy. By 2008, e-commerce sales alone totaled $3.16 trillion per year in the United States,” Kennedy wrote. Making online retailers pay sales tax to states may not sound that radical. The US Government Accountability Office estimated that such a move would bring billions in funds back to the states. It could also make traditional retailers more competitive. But the more consequential issue at hand could be the recognition that numerous laws need reevaluating in the age of the internet. Giving individual states more power to regulate online activities could open up greater protections, as we’re seeing in the controversial efforts of states to pass their own net neutrality laws. At the same time, fragmenting requirements along federal and local lines promises to place unforeseen headaches on companies to be compliant.